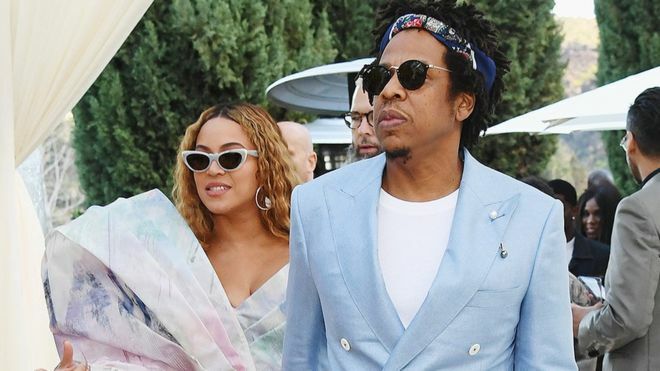 Beyoncé says she was “overwhelmed” at getting recognition at the 2019 Glaad awards, along with her husband Jay-Z. The couple were honoured by the organisation for their work promoting LGBT acceptance. Beyoncé dedicated the couple’s vanguard award to her uncle who died from issues relating to HIV. Shangela performed some of Beyoncé’s biggest hits in front of Beyoncé and Jay-Z – who also spoke at the ceremony. Jay-Z said “Thank you, GLAAD, for this amazing honour and having us this evening. Life, this journey, is filled with highs, lows and a lot of learning. This is a momentous night and I also want to honour my mother who received an award last year.” Gloria Carter, who is gay, won a special recognition award at the 2018 Glaad awards for her part on Jay-Z’s track Smile.